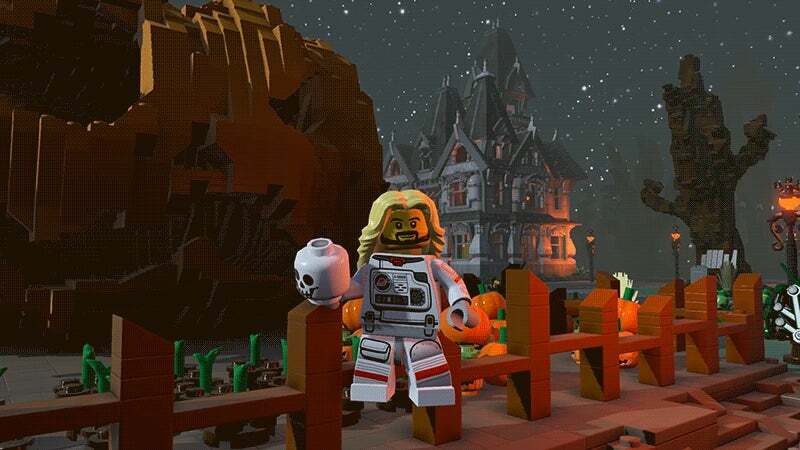 Just in time for the spooky season, Lego Worlds released its new Monster DLC pack, featuring the creepiest people, places and things made from colourful plastic brick. Let's take a spin around Monster World. 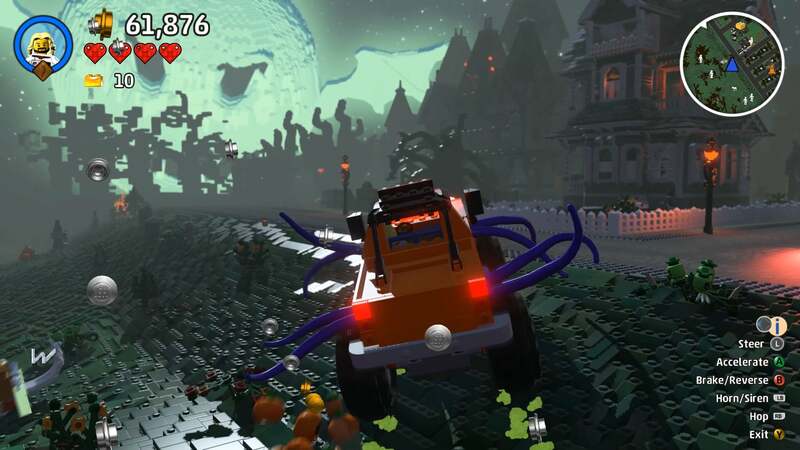 The Monster pack contains a whole lot of spooky new stuff, from magnificient haunted houses to the most twisted vehicles from Lego's Monster Fighters line and beyond. My favourite new addition so far is the monster truck, which is exactly what it sounds like. Note the creepy moon consuming the night sky. Monster World, the pre-made adventure location included with the DLC, is a wall-to-wall goth party. Ghosts, skeletons, banshees and other undead nuisances wander the streets with men, women and children dressed in their black-and-white best. They're creepy and they're kooky, mysterious and spooky, but it's the season. Check it out. Also new this week in Lego Worlds is a massive update that adds several new features, tools and fixes to make the game even more fun to play around in than it already is, including the planning tool, which makes building structures a lot easier. You can check out a full list of the new stuff in the video below. Even if monsters aren't your thing, now's a great time to get back into the game. The Lego Worlds Monster DLC pack is now available across all platforms for $US3.99 ($5).